Well, you knew it would happen sooner or later. Of the eight teams in on a possible trade for Giancarlo Stanton, The Bronx Embalmers are now identified as one of them. 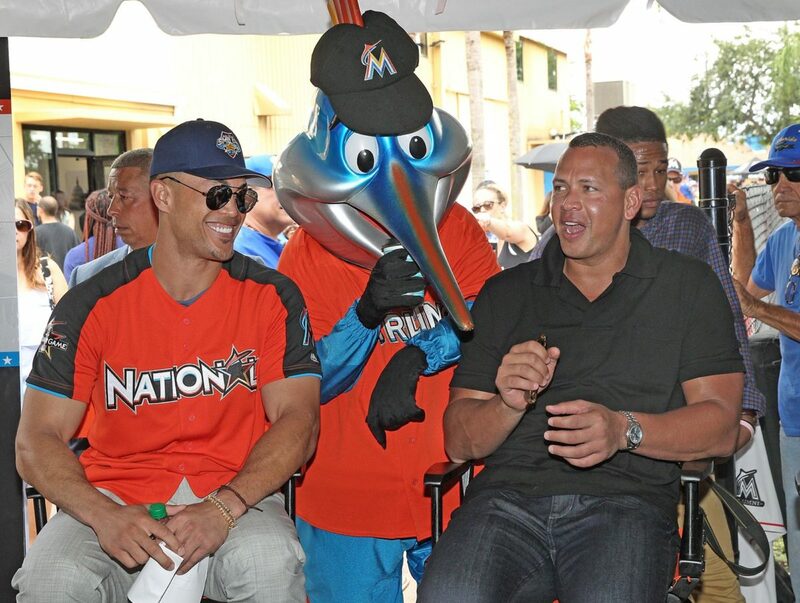 The Pinstriped Posers have already held preliminary talks with their old buddy Derek Jeter about pairing Stanton with AL Rookie of The Year Aaron Judge. Clearly, this sends shivers up and down the collective AL East spine. It's also reminiscent of what occurred on February 15, 2004, when the Rangers traded A-Fraud to the Yankees—after an all-but-certain deal to the Red Sox was torpedoed at the last minute by the MLB Players Union. Could a similar thing happen again with Stanton? Heaven forfend!